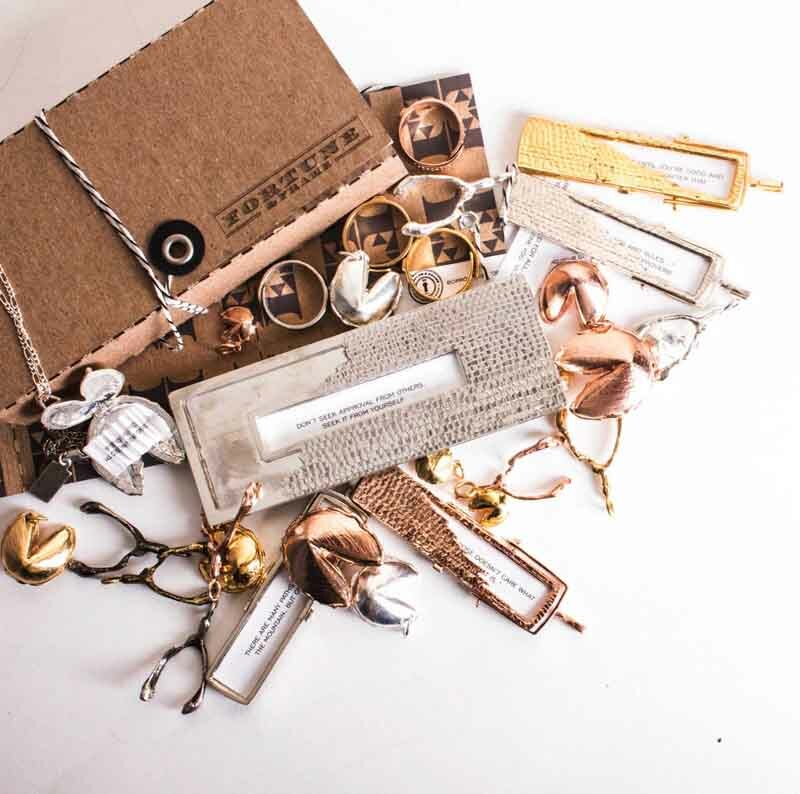 Founded by designer Gretel Going, Fortune & Frame is a New York City-based line of jewelry, frames, and other things that hold fortunes. The original concept came about two years ago when Gretel came across an insightful fortune, shoved it behind a refrigerator magnet, and forgot about it. When the fortune kept falling on the floor, an idea was born. The resulting line relies on jewelry and accessories to bridge the gap between the value people place on fortunes and the lack of dedicated places to keep them. The 2014 launch collection, On the Mend, summons all things rustic, broken, and put back together again. Its heavy use of bandages, broken edges, and jagged and hammered textures is a nod to the torturous and solitary aspects of getting-better —a process with which fortunes have become synonymous. Gretel, the fortunes shy away from the prophetic and arbitrarily optimistic, and instead focus on the intersection of hardship and light at the end of the tunnel.